Precision viticulture projects look for the maximization of the oenology potential of the vineyards, adapting to extreme conditions, to obtain higher quality and better productivity of the vintage. Agricultural IoT projects provide efficiency, sustainability, optimization of natural resources and traceability. The Spanish bank Ibercaja impulsed Agrotech, an IoT financing program for agronomists to ease the introduction and adoption of the Internet of Things technology into this traditional sector. Agrotech was developed by EFOR, global leader in technological services, and solutions for management, communication and marketing of companies, and Libelium, hardware IoT company specialized in agriculture precision. Thanks to smart technologies and artificial intelligence, farmers can make a more efficient consumption of natural resources and know which is the best moment for sowing, irrigating, fertilizing or harvesting. 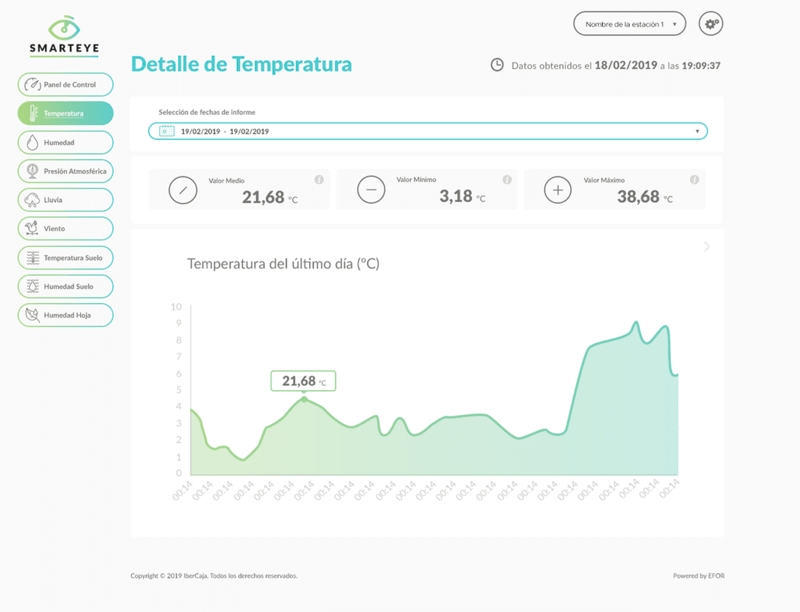 Delivering to the key customers of the Ibercaja farming sector the technical analysis and the IoT product that enables to measure the variables that are selected during the project. Introducing the cloud app or platform where users can visualize and analyze data as a first demo of the future product that allows the user to identify critical issues and to help them with their decisions. Analyzing and conceptualizing the product creation and its own brand. Also, designing the customer’s journey through the installation and use of the product. 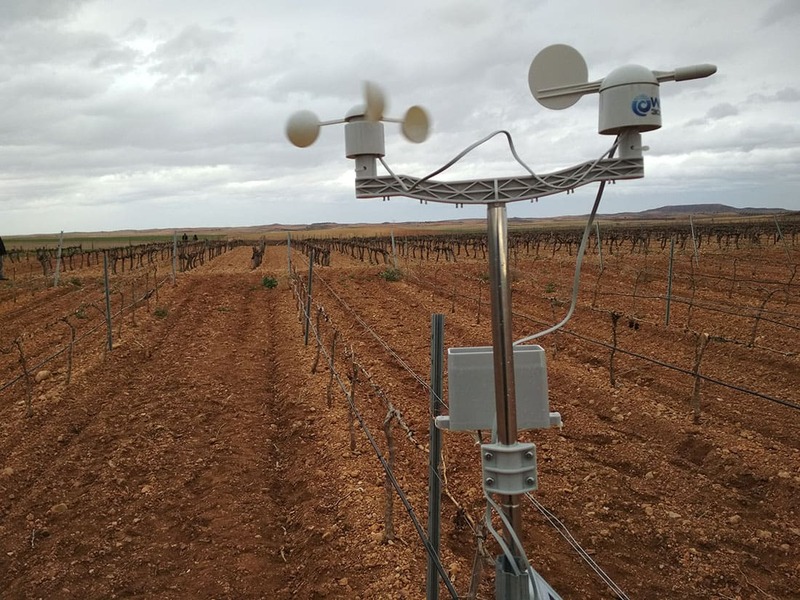 Agrotech project was introduced in several vineyards of Aragon (Spain). Spain is the country with more vineyards than anywhere else in the world. 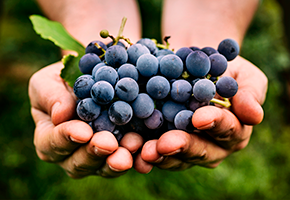 There are more than 4,000 wineries, most of them small and medium-sized enterprises. The wine industry has remarkable importance in Spain from an economic, environmental, social and cultural point of view. However, the Spanish wine sector must face the problems derived from the rural depopulation and global warming. Wineries in numerous countries are starting to develop new IoT technology in order to face the climate change. Temperature, rainfall, potential evapotranspiration, sunlight, and wind are the most influential factors affecting the physiology of the grape. Knowing these aspects in advance can help oenologists to better calibrate the different parameters which determine the character and quality of the wine. In the first place, the main objective of the Agrotech project is to provide an autonomous IoT measurement system, with no need for any action taken by users that have this system deployed in their farms. The system must do several readings from different variables measured in the fields, such as soil moisture and wind speed. To provide and analyze the great amount of data: this data enables to model the farming land in order to qualify it: promotion sales, rent, and insurance, among others. To ease technification by planning this project as an improvement of the current financial products of providing financing to customers so they can afford the pack. To strengthen digital communication channels and interaction with new clients through which new products and services can be offered. 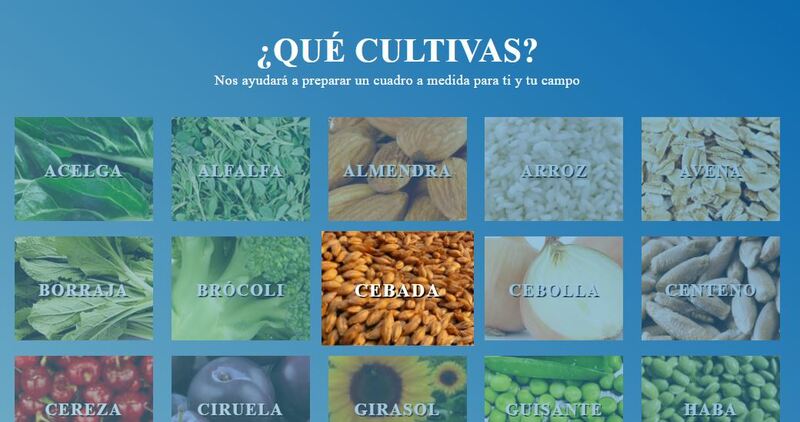 To own a technological product, a global platform of sustainable agrarian management that means a step forward in Ibercaja’s digital transformation plans. To help to technify the agricultural sector and also to promote new technologies among this potential group of customers which are young farmers. To develop a smartphone application which allows users to access the data in real time in a visual way with graphics, and also insert relevant information. To consolidate the current system and cloud infrastructure. This information must be sent to Microsoft Azure cloud via 4G every 15 minutes. In the cloud, the devices’ condition must be managed, and information needs to be available and accessible. Thus, valuable information can be extracted, and this information will help agriculturist so they can make better strategic decisions based on real data. The projects look for an easy access of the data, providing production and management indicators to the users. The nodes, placed on site, communicate with the gateway via 4G, which sends the information to the cloud through 4G as well. 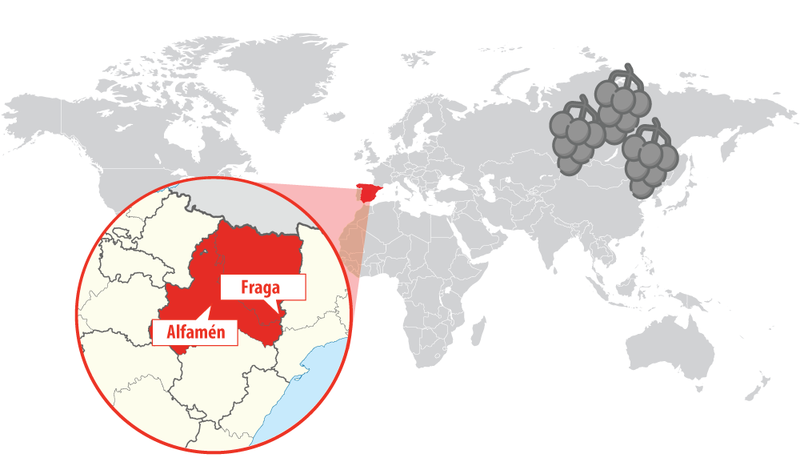 The Meshlium IoT Gateway is located at EFOR’s offices in Zaragoza, which makes the management of the system easier for the developers. 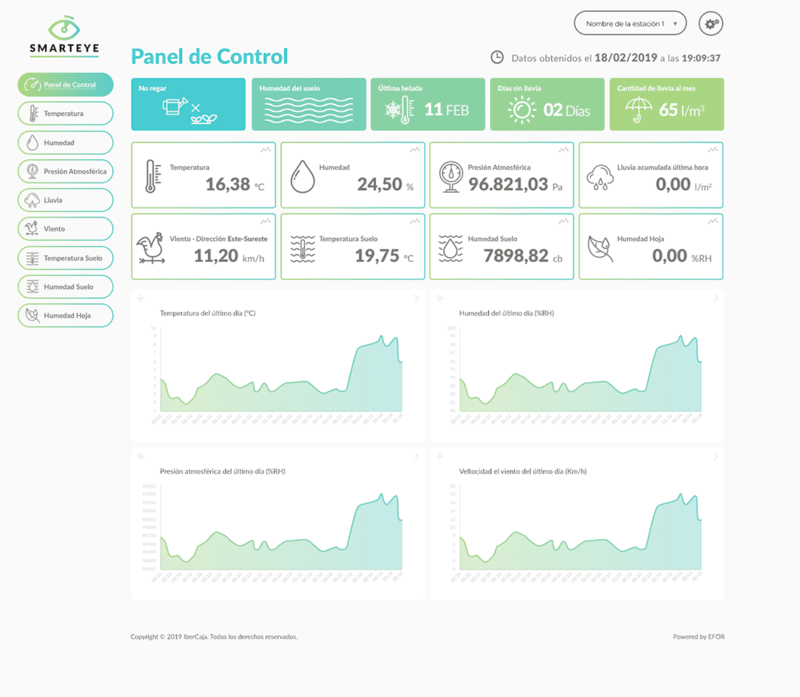 For data display, the software used is EFOR’s Smarteye, developed on Microsoft Azure IoT cloud. EFOR highlights Libelium’s ready-to-go hardware for a fast time-to-market experience. Users experienced great time savings since they do not have to access physically the yards every time they want to check something. Additionally, tons of knowledge have been generated because the user can now compare what their experience tells them with real data. In this case, also new watering procedures were implemented based on data, generating large cost savings. Key users understand that real-time monitoring in their farm is necessary to be more productive and efficient. “Working with Libelium has been, as always, a great pleasure. 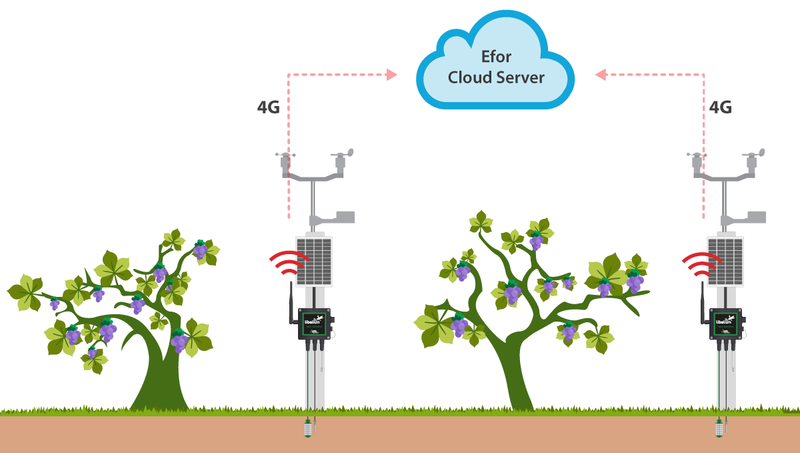 We have had a lot of support and thanks to their Technical Team we have solved issues that directly impacted the project,” comments Guillermo Renancio, Head of IoT & Communications at EFOR. For more information about our products contact the Libelium Sales Department. If you want to download the article in Spanish, please click here. For technical details on Waspmote Plug & Sense! Smart Agriculture Xtreme: Waspmote Plug & Sense! Smart Agriculture Xtreme Technical Guide. For technical details on Waspmote Plug & Sense! Smart Agriculture: Waspmote Plug & Sense! Smart Agriculture Technical Guide. Discover the Smart Agriculture Kits in The IoT Marketplace. *TERMS AND CONDITIONS TO USE LIBELIUM CONTENT. If you are going to publish the article in a website or media or in a white paper or research study, it must be done including all the references and mentioning Libelium as the source of the content. *TERMS AND CONDITIONS TO USE INNOTECH INSIGHTS CONTENT. Innotech Insights owned logos, images and information, including the Crowded™ trademark can only be used by crediting Innotech Insights as the source and with prior written agreement.